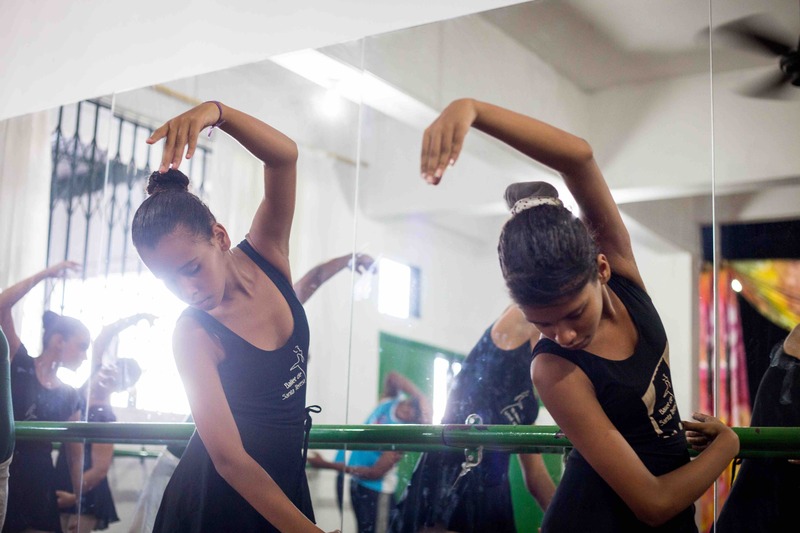 Rio de Janeiro’s Ballet de Santa Teresa is providing hope, education and a safe haven for some of the most disadvantaged children in Brazil. 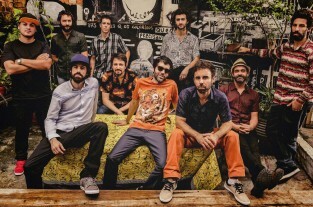 In the meandering hills of Rio de Janeiro’s cobblestoned Santa Teresa neighbourhood, the unexpected crescendo of classical music grows. Down a quiet road, two bright blue steel gates open to a pathway decked with native tropical plants, signalling the entrance to Ballet de Santa Teresa, a free ballet school that caters for girls and boys between the ages of three to eighteen, from nearby Favela Morro dos Prazeres (‘Hill of Pleasures Slum’). There were twelve children on the first day of class, among them was little Teresa. It was not an easy place to work; the windows had no glass, when it rained it flooded, the space was dotted with broken chairs and there was a ditch running through the room that was covered by precariously placed planks. 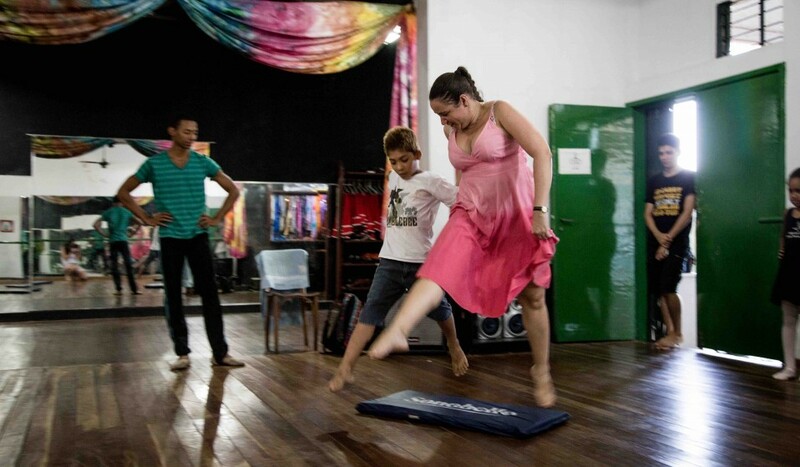 The school grew rapidly – in a couple of months the alumni became forty students and moved to a larger studio – and, in 2001, Vânia moved the school out of the favela and into nearby Santa Teresa where the ballet school, as it is now, was forged. Today the school caters to over a hundred children and teens, offering free ballet, music and literacy classes attended by all students, daily. But perhaps, most importantly, it provides a safe haven for some of the most disadvantaged children in Brazil. 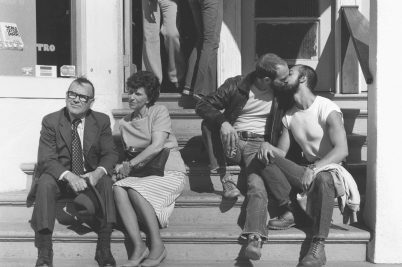 The school has proven a huge success, as embodied by its first student. “The girl who asked me that question all those years ago, Teresa, now works here. She is a writing and reading teacher. She still lives in the favela,” says Vânia. A group of elegantly attired students gather in the dance studio for the first class of the day. Here the girls, hair pinned back, and boys, donning ballet slippers, stretch before class. Then, as the music begins, the teacher takes them through graceful sequences, executed with delicate perfection. 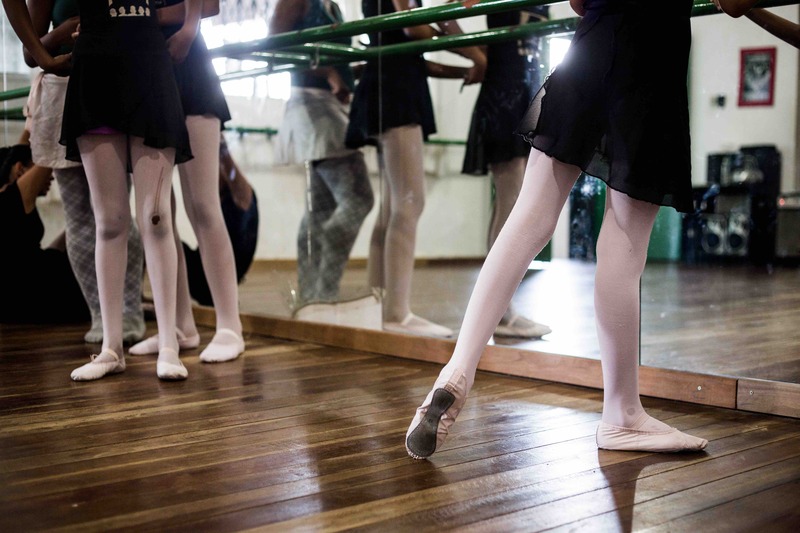 The hours wile away as they practice pirouettes and pointed toes: a steep contrast to their everyday realities at home. 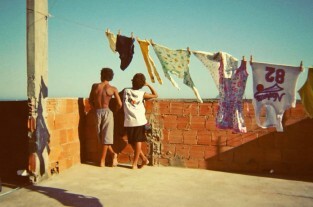 Despite their prevalence, the slums are the invisible neighbourhoods of Brazil. Some are lawlessly controlled by drug traffickers, while others have been ‘pacified’ – a local term that infers police have taken back control. Morro Dos Prazers has been considered pacified since 2007. Pacified favelas are scattered with heavily armed police checkpoints. Despite the diminished threat of violent drug dealers, corrupt police pose their own kind of threat. 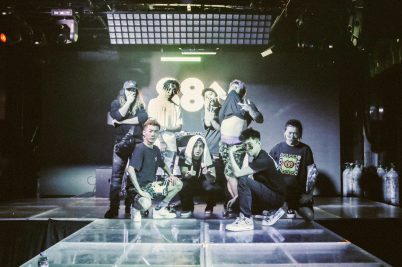 And then there’s the militia. Many of Rio de Janeiro’s slums – pacified, or not – are under the absolute control of the mafia-like militia; factions of policemen, ex-policemen, firefighters and military who have often been known to resort to brute force in order to rule the every move of favela residents. In some cases, they use police equipment, maintain constant communication with the police and act as a proxy for them. In some areas the militia control many aspects of everyday life, from who people vote for in elections, to where they buy their gas. Some also enforce illegal ‘taxes’ on those who make a living in their territory such as shop and bar owners or taxi drivers. “The police are sometimes even more dangerous than the drug traffickers. There is also the violence, domestic and within the main community due to drug trafficking, but our biggest worry is the sexual exploitation of the children and teens,” reveals Vânia. The government and media appear to be disconnected from these neighbourhoods, preferring to direct the public’s attention away from the crime, poverty, drug addiction and corruption. Instead, they dangle the juxtaposing image of rich Brazilian society in front of the world’s eyes, so that the realities of life for the average favela child is overlooked or forgotten. Education is therefore at the forefront of the school’s ethos. With ten per cent of the Brazilian population illiterate – according to World Bank statistics – the institution hopes to make a change with the families they are able to reach. “Many of the kids didn’t have any kind of dream when we started with them, now they’re finishing high school and are attending college,” explains Vânia’s twenty-one-year-old son, João Pedro, who sometimes helps his mother. 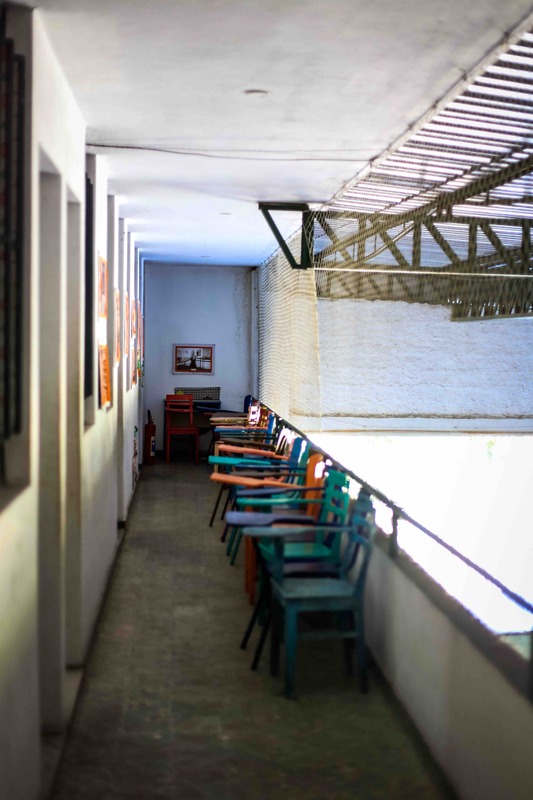 Despite the positive growth seen in the children that attend the school, support for social causes from the Brazilian government is extremely hard to come by without the right connections. 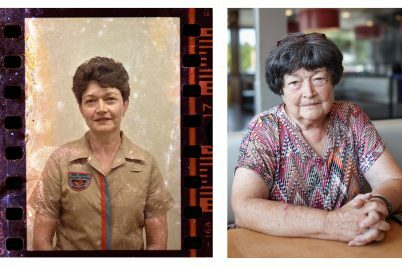 These cuts have made it more difficult for the centre to receive government funding and in the last six months, Vânia has, for the first time, thought about closing its doors. 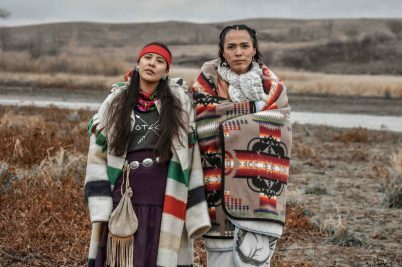 As they do not ask a fee from their students, beyond capricious government funding, the institute depends on charitable donations from the public as well as from corporations – but sometimes there aren’t any. In the run-up to the 2014 presidential election, the media waves pumped out debates between president Dilma Roussef and rival candidate Aecio Neves – who beyond his right-wing, business-focused policies, is also well known for a recent scandal where he was found with 445 grams of cocaine in his possession. In late October, Roussef won the election. Her policies have helped lift nearly 40 million people out of poverty through income redistribution. Although the value of what the children gain in the ballet school is palpable, there is also a sense of fear – due to waning support from the government and the general public. 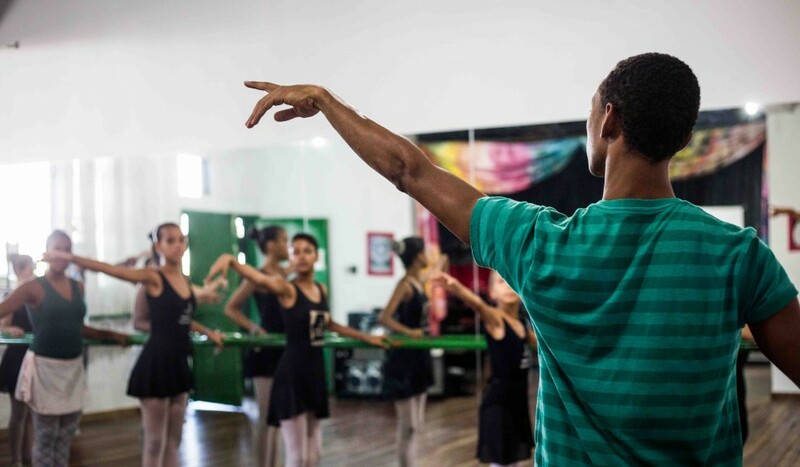 Five years ago there were over ten social programs in Santa Teresa like the ballet school, but today it is the last man standing. 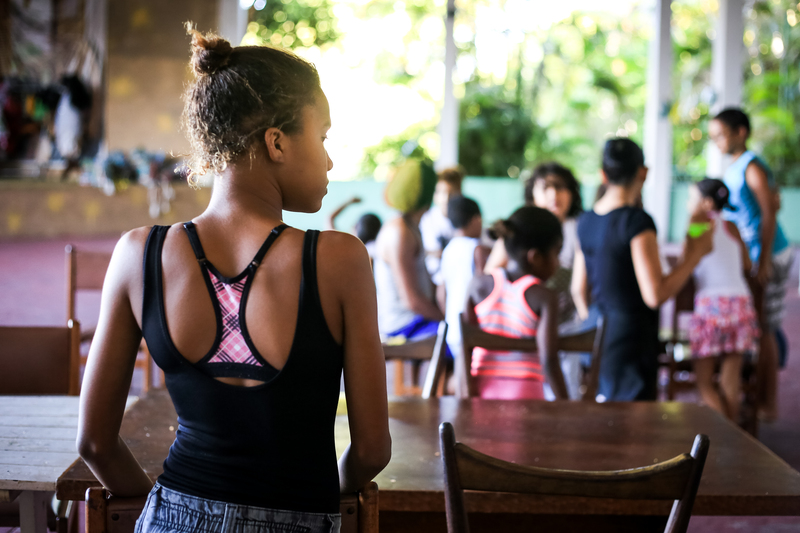 Despite the lack of support, Vânia remains optimistic that by following her life-long passion for dance – and sharing that enchantment with girls just like Teresa – the centre will continue to be there for future generations. 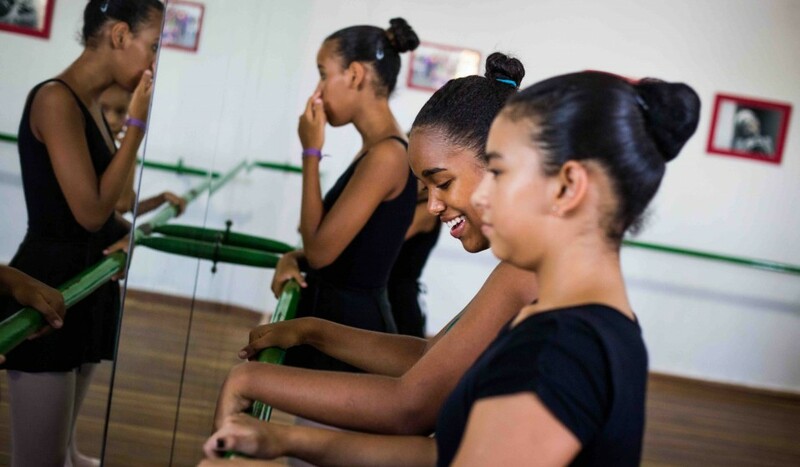 Find out more about the Ballet de Santa Teresa. This article originally appeared in Huck 47 – The Julian Casablancas Issue. Grab your copy from the Huck Shop or subscribe to make sure you don’t miss another issue.